There are a number of veterinary specialties recognized by the American Veterinary Medical Association. Certification as a veterinary specialist generally requires an additional two to three years of study, plus passing an intensive board examination. The specialty residency is completed under the supervision of a board certified specialist in the field. The various veterinary specialty board certifications may be based on specific disciplines and organ systems, or they may be focused on the management and care of one particular species. The American Board of Veterinary Practitioners (ABVP) governs specialty certification in eleven different species. Certification is available as a veterinary specialist in avian, beef cattle, canine, dairy cattle, equine, exotic companion mammal, feline, food animal, reptile, swine medicine, and shelter medicine practice. The specialty of veterinary anesthesiology is concerned with the use and administration of a variety of anesthetic agents to provide proper sedation during veterinary surgical procedures. The specialty of veterinary behavior focuses on discovering the causes of behavioral issues and the treatment of animals with the appropriate medications or modification techniques so that undesirable behavior can be controlled. The specialty of veterinary emergency and critical care is concerned with the treatment and care of animals suffering from traumatic injuries or the sudden onset of life-threatening diseases. There are over 510 practicing emergency and critical care diplomates. The specialty of veterinary dentistry is concerned with providing routine preventative dental care and oral surgery procedures to promote dental health in a variety of species. The specialty of veterinary dermatology is focused on diagnosing disorders of the skin, hair, ears, and nails. Veterinary dermatologists also identify external parasites, allergies, and other hormonal conditions which may have an impact on the condition of an animal’s skin. The study of veterinary epidemiology is governed by the American College of Veterinary Preventative Medicine. Veterinary epidemiology is the specialty concerned with the study of the origination, spread, and containment of diseases in the animal population. The American College of Veterinary Internal Medicine certifies internal medicine specialists in the fields of veterinary cardiology, veterinary oncology, veterinary neurology, large animal internal medicine, and small animal internal medicine. There are over 2,500 internal medicine specialists currently practicing. The specialty of veterinary lab animal medicine is concerned with the study of rodents, rabbits, and other animals used for research purposes in a laboratory setting. The specialty of veterinary microbiology is involved with the study of bacterial, fungal, and viral diseases. The American College of Veterinary Microbiologists also certifies specialists in such areas as veterinary bacteriology, veterinary mycology, veterinary parasitology, veterinary immunology, and veterinary virology. The specialty of veterinary nutrition is concerned with the use of nutritional management strategies to promote animal health and manage the symptoms of various diseases. The specialty of veterinary ophthalmology is concerned with the study of the eye and related structures, as well as the proper treatment of disorders which may affect an animal’s vision. The specialty of veterinary pathology is concerned with the study of disease and the changes that occur in an animal as a result of a disease’s progression. There are nearly 2,000 practitioners in this specialty area. The specialty of veterinary clinical pharmacology is concerned with the composition, usage, and biological effects of animal drugs. The specialty focuses specifically on poultry like chickens and turkeys, their health, well being and any reproductive concerns. Vets that achieve certification in preventive medicine are proficient in food safety, hygiene, infectious disease prevention, and control. The specialty also includes training in environmental health, disaster response including bioterrorism. The specialties of veterinary radiology and veterinary radiation oncology are focused on techniques in the fields of diagnostic imaging and radiation therapy. The specialty of veterinary reproductive medicine (theriogenology) is concerned with the study of reproductive management techniques and the treatment of reproductive disorders. There are more than 300 certified specialists in this area. 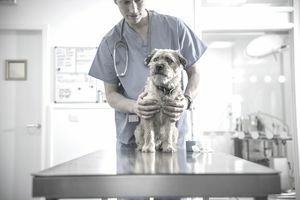 The specialty of veterinary surgery is focused on the use of advanced surgical techniques to provide care for injured or diseased animals. There are over 1,500 active diplomates in the field. Veterinary toxicology is a specialty concerned with the study of naturally occurring biological toxins as well the as toxic effects of some drugs, feed additives, and environmental factors. The specialty of veterinary zoological medicine focuses on the study of exotic animals kept in zoological parks including research, medical care, and treatment options.